One of my Facebook group pages SingPoWriMo will explode today (April 1) with a cornucopia of poetic lines. April is Singapore Poetry Writing Month, a bottom-up call to get Singaporeans to - well, write poetry - and share it on their Facebook page. SingPoWriMo - derived from the starting letters of the eponymous event - was started in 2014 by a bunch of writers including Joshua Ip, Alvin Pang, Pooja Nansi and Ann Ang. Why, I asked Joshua last night while writing this. "Because we wanted poetry with peer pressure," he said pithily. People are encouraged to write one poem a day. Or you can just dip in and out and write as often as you wish. Moderators will have different instructions each day on the theme or poem type of the day. For extra challenge, you can write a poem that satisfies additional criteria to get a bonus. There are regular prizes throughout the month, and your poem might even get picked to be published in an anthology. "Write a poem which asks all the questions to which you urgently need answers." Well, if you think so, you can add "Bonus #1: The last line of your poem provides an answer." And if that's not enough challenge for your inner Wordsworth, you can make your poem conform to "Bonus #2: All of your questions are addressed to a particular entity/institution/corporation." Those who want to take part can go to the SingPoWriMo page and ask to be added. Then write your poem, and use hashtags #spwm17 #spwm17dayX #yourname in your post. More information is on the Facebook group page. Since I found out about this amazing movement two years ago, I've been a lurker on the page, reading and enjoying the offerings from others. Last year, I told myself: next year, I will take the plunge. It being next year, it's time. Never mind that, as a journalist, I truck in prose not poetry; or that I can't rhyme; and have no sense of rhythm. I've always enjoyed reading poetry. In my salad days, I wrote some. Then life and work got in the way. But for a few days at least this cruellest month, I'll try to stir my dull roots with spring rain. The Facebook group now has 3,420 members. I hope many more people will join in and write and share their lines. Another interesting event taking place this weekend is a series of performances of a local play, Charged by Chong Tze Chien, that deals with issues of race. Each production is being put together by a medley of students from across three educational levels - ITE, polytechnic and university. They were all brought together to crew, stage manage, produce and act in the play by Margaret Chan, a veteran theatre practitioner best known for her performance as Emily of Emerald Hill in the classic play by Stella Kon. Margaret is now associate professor of theatre and performance studies (practice) at the Singapore Management University. 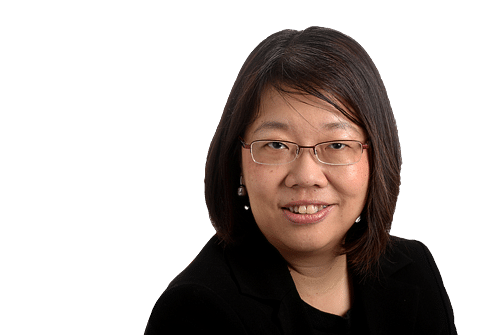 She wrote about her efforts to get this pedagogical innovation underway in a commentary in The Straits Times' Opinion pages, published on March 29. Whether it's drama or poetry, or nature rambles, music festivals or food and shopping events, there's always something interesting going on. I often feel like I'm living in an island city-state literally bursting with creativity and energy. Stretch out your hands and you can feel its pulse. And when the world is too much upon you, why, just retreat into your inner world and solitude - and write some poetry.